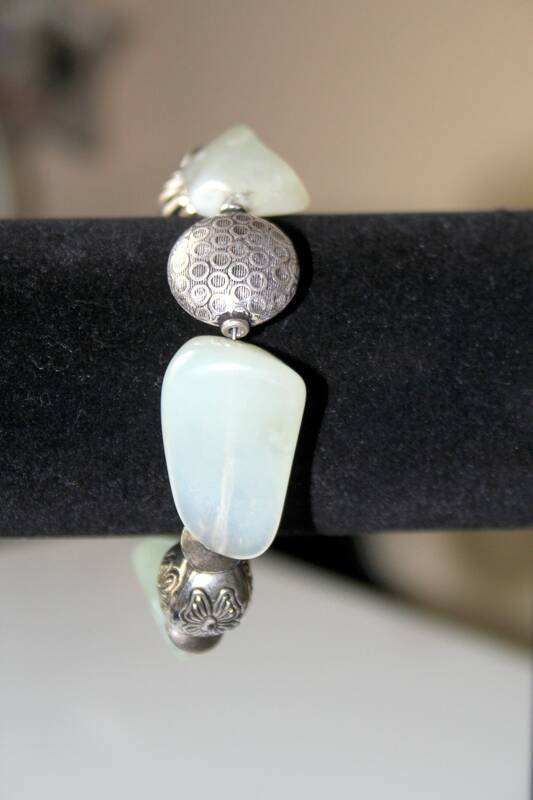 Softly polished and rounded edges gives this chunky pale green jade bracelet a soft, flowing feeling. 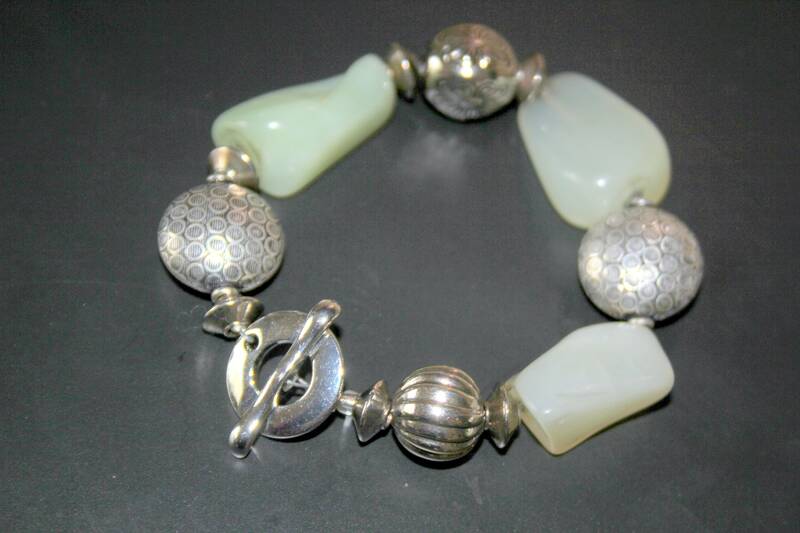 The jade stones are spaced with patterned Bali silver flat round beads and bicone silver plated beads. The bracelet is strung on 49 cable, coated beading wire for strength and flexibility. 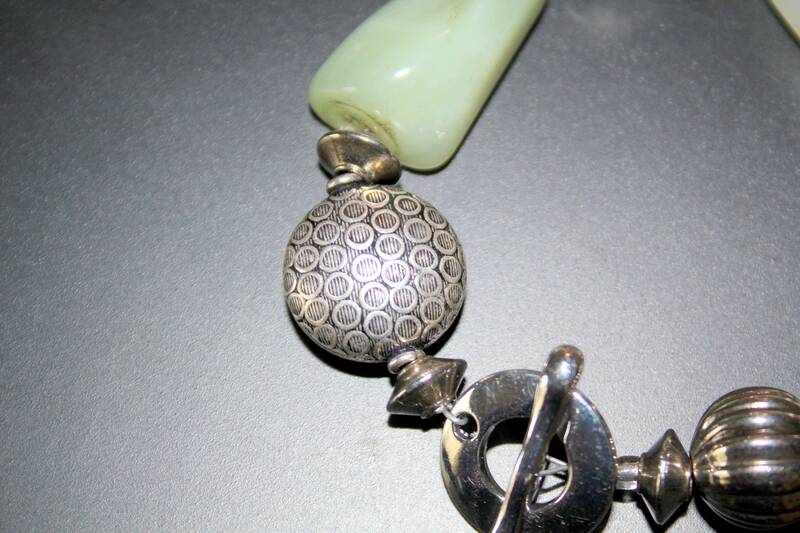 The toggle clasp is round and also silver plated. The bracelet fits most average 7 1/2" to 8" wrists. International Rates are based on destination postage and any required duties.